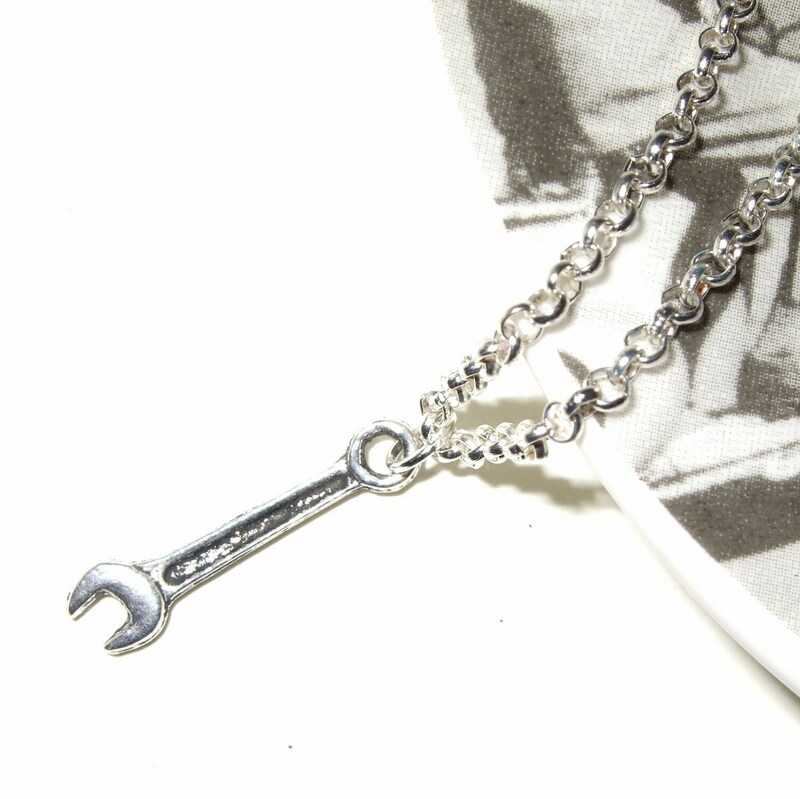 Cool little wrench charm on a silver plated chain. 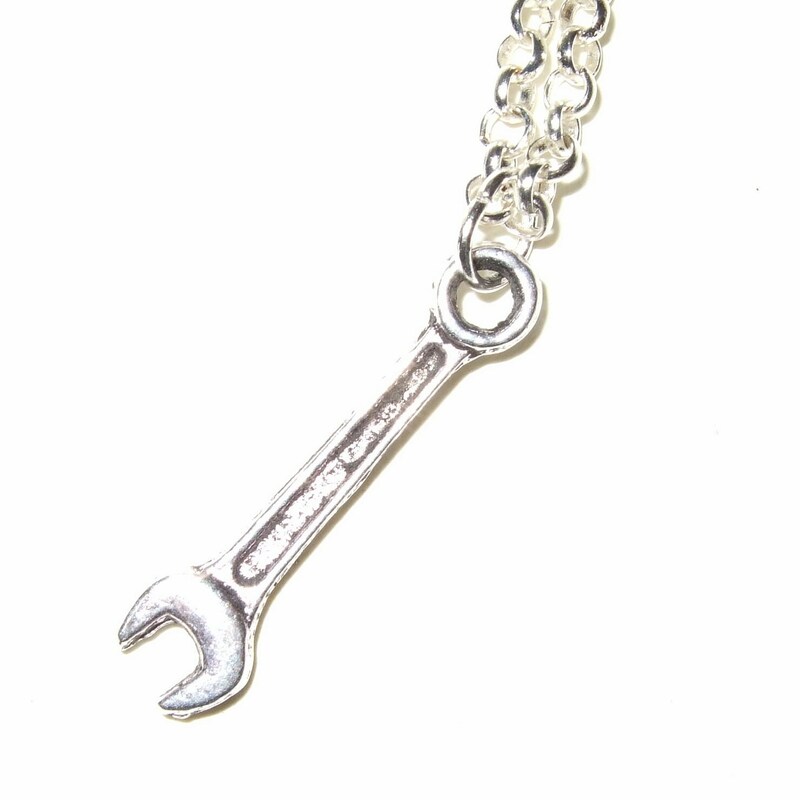 The little Tibetan silver wrench (or spanner!) 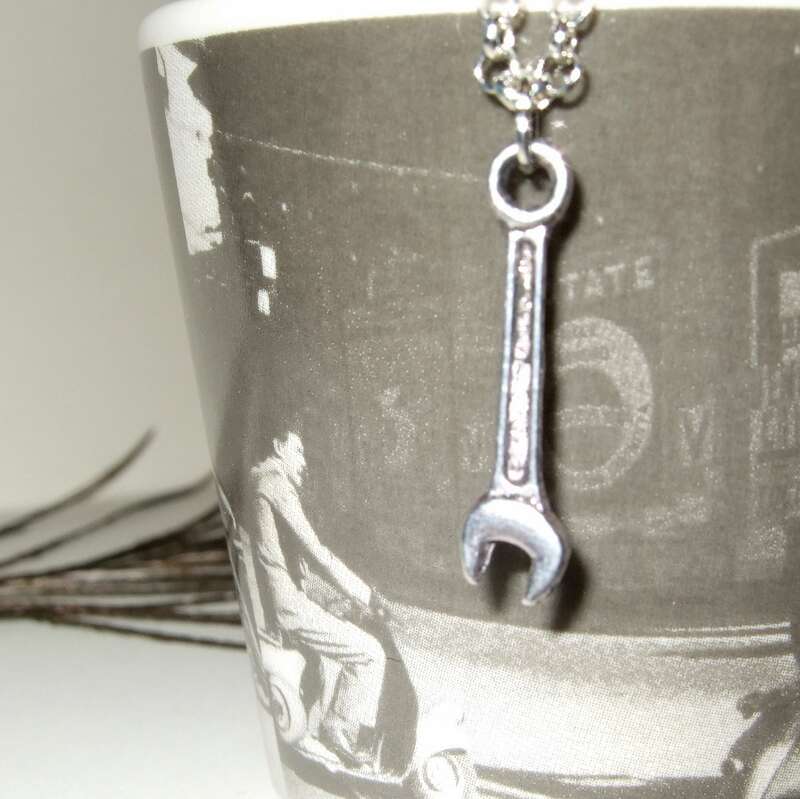 charm is just under 1"/2.5cm tall. 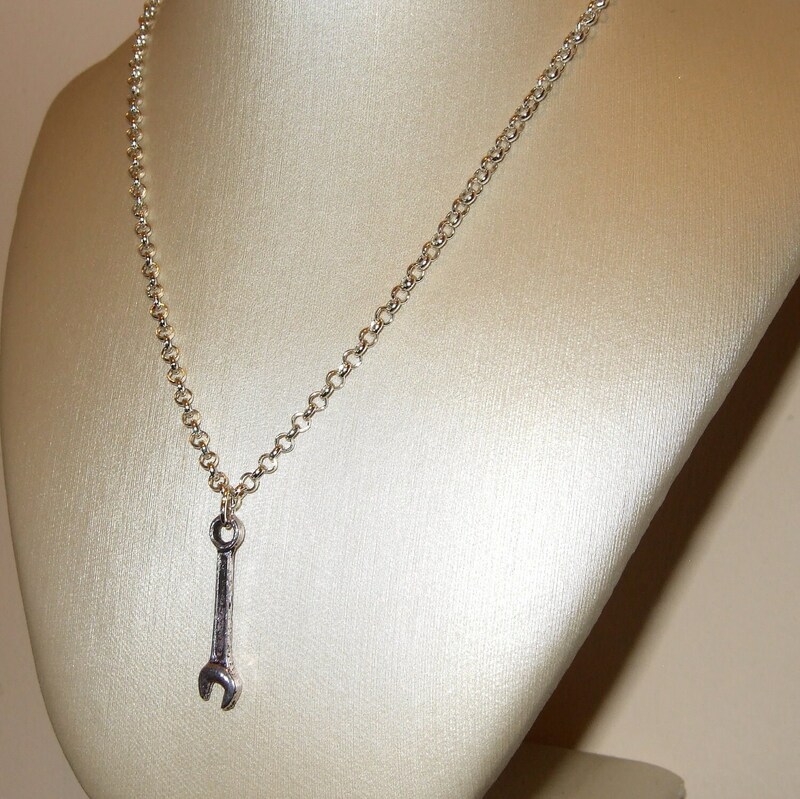 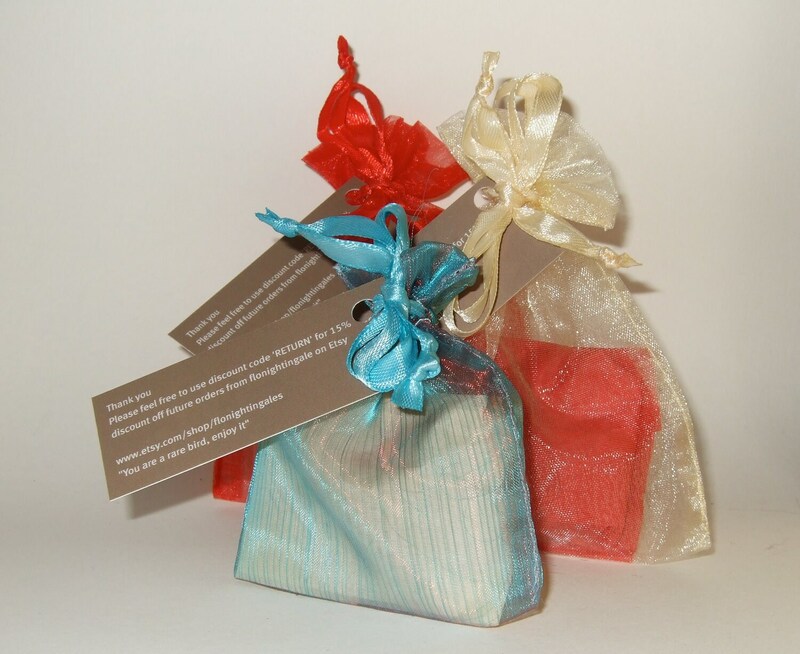 Silver plated 3mm rolo chain is lead and nickel free and has a lobster clasp.